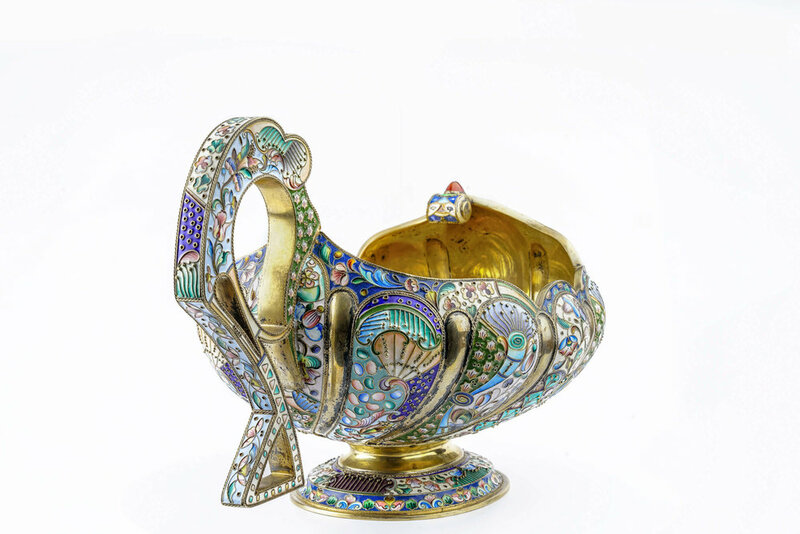 Antique Russian silver 84 cloisonne and shaded enamel large and heavy kovsh with special handle. 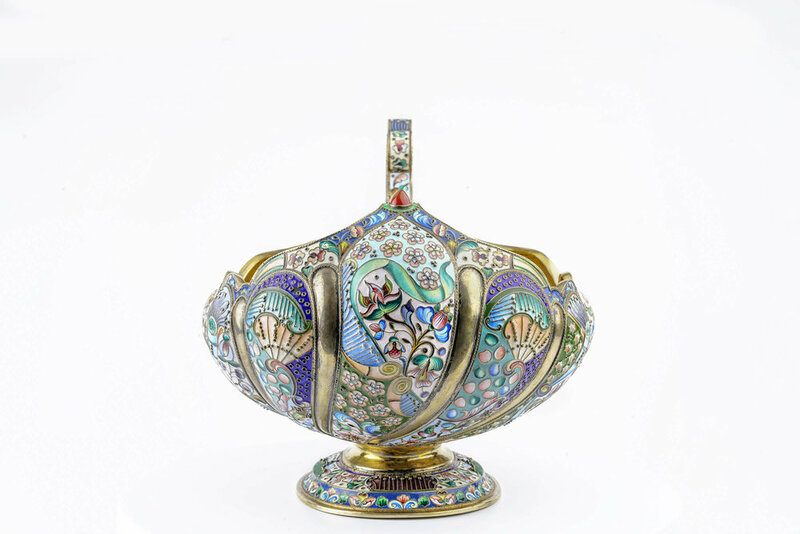 A beautiful antique Russian silver 84 cloisonne and shaded enamel large and heavy kovsh with special handle. Length is 10 inches, Height is 6.5 inches. 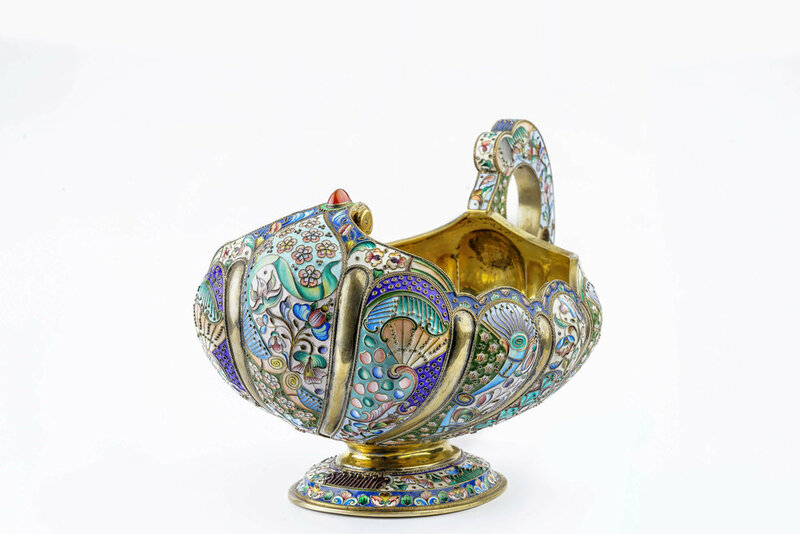 Weight is 835 grams.